Starting a Park Group could be an important step in developing community ownership over our public spaces. Park Groups are usually composed of a group of citizens who have a common interest in their local park. There are a diversity of activities that the group can engage in to move their goals forward such as fundraising, volunteering, and advocating to conserve a specific park or increase the tree canopy in Jersey City. 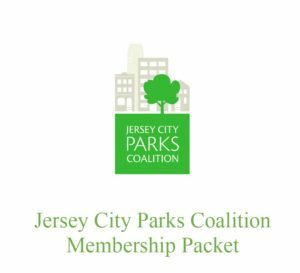 In an effort to make it an easier process and serve as a support system The Jersey City Parks Coalition has made a commitment to support individuals and community members interested in starting a Park Group, as we understand the power that local citizens can have in shaping the decisions that are made to improve our local environment. Therefore, we would like to invite those interested to become Members of the Parks Coalition. Shared protocols to facilitate best practices as a volunteer group; such as governing by-laws, agenda formats and topics pertaining to other operating matters. Support for community events & other efforts by park groups, as requested. Continuing and enabling the JCPC to seek public and private grants and other funds on behalf of the City where funding would go directly to capital improvements, developments, and community education, engagement, or programming to engage Jersey City residents in City Parks.